In this verdant Atlanta suburb, you'll find teens and seniors alike zipping through neighborhoods in golf carts. 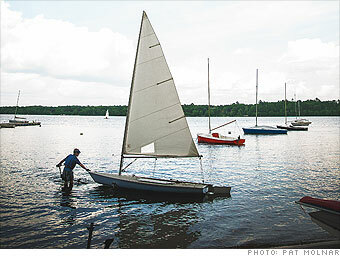 The town has 35,000 residents, 10,000 golf carts, and more than 90 miles of trails that weave through lakes, baseball fields, a BMX park, and an amphitheater. Despite lacking a true town center, Peachtree City is a fixture on the Best Places list, thanks to low unemployment, high test scores, and employers such as TDK and Panasonic. --S.M. The Georgia income brackets reported are for single individuals. For married couples filing jointly, the same tax rates apply to income brackets ranging from $1,000 to $10,000. 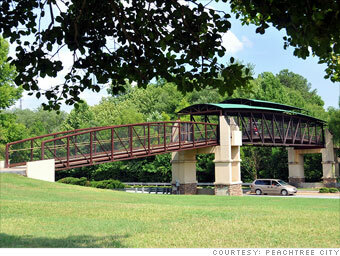 Is Peachtree City a great town, or what?